Home > Lessons for the Modern Man, Thoughts on the Goddess	> Balance – Can you find that still point within? Balance – Can you find that still point within? Happy Spring! On Saturday, locally at 11:32 am, we officially greeted Spring’s arrival. And while your weather may not have been appropriate for this season of growth and greening, at least here in the northern hemisphere, it was nevertheless a point of balance for everyone everywhere. 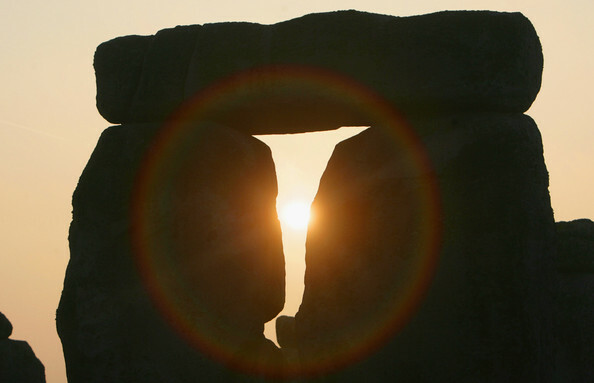 The equinoxes are celebrated as a time of year of equal light and dark. The Sun is up for very close to 12 hours and it is down for 12 hours. For example Sunrise on Saturday here in Colorado occurred at 7:04 am and Sunset was at 7:11 pm. Balance. How do you define balance? And here I’m asking about your sense of balance as an individual moving through your life on Planet Earth. Of course there are many kinds of balance: balancing while riding a bicycle, balancing on one foot in a yoga asana, balancing a diet, a check-book, balancing times of work and play, activity and rest. These are all examples of physical balance. There is also balance to be found in emotions: balancing joy and sorrow for example; and balancing of mental activity: right and left brain balancing, creativity with logic; and there is spiritual balancing to consider: balancing an understanding of self and Self, sensing the presence of God and Goddess, masculine and feminine energies within. The balancing of day and night amplifes this sense of balance in our lives at this equinox time. It is a good time to examine all these areas of balance to determine if there might be some shifting to do. Balance is not a static or rigid sense of maintaining a status quo of some sort. There is an essential dynamic to balance. When riding a bike subtle shifts in the body are required to maintain balance; and, of course, forward motion greatly adds to the balancing act. All balancing acts require adjustments and tests to find and maintain the balance point. Spiritual balance can be found, tested and adjusted on the inside. There is a still-point within where the breath eases, where the mind quiets, where emotions become submerged; this is a fulcrum of balance. Some people feel this in their heart-center, the fourth chakra, middle most of the seven. Some people find it in their dantien, especially the lower dantien in martial arts applications. It is in this inner balance point where God meets Goddess, where self meets Self, where the natural world meets emptiness, where no-thing meets the All. This is a highly dynamic center, full of life and change. But it is is a quiet place and the changes are subtle. When we find this place of balance inside ourselves all other parts of our lives come into balance. Stress eases, ease strengthens, heaviness lightens, lightness deepens, masculinity softens, softness toughens, roughness smooths, smoothness texturizes. 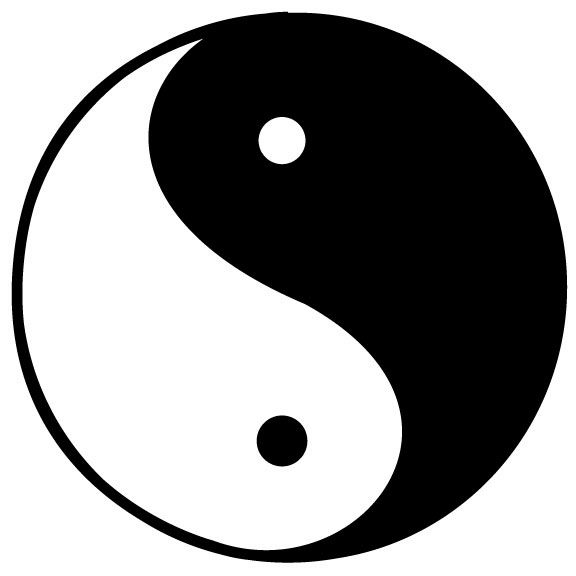 The polar energies swirl about one another, as in the Tai Chi symbol: yin swimming into yang, yang spiraling around yin; dark to light, light to dark dynamically balanced, ever changing, always the same, never static, spiraling upward. Enjoy these days of balance subtly moving toward lengthening days and the coming solstice. And sense that still point within, your fulcrum about which your entire life can be balanced.